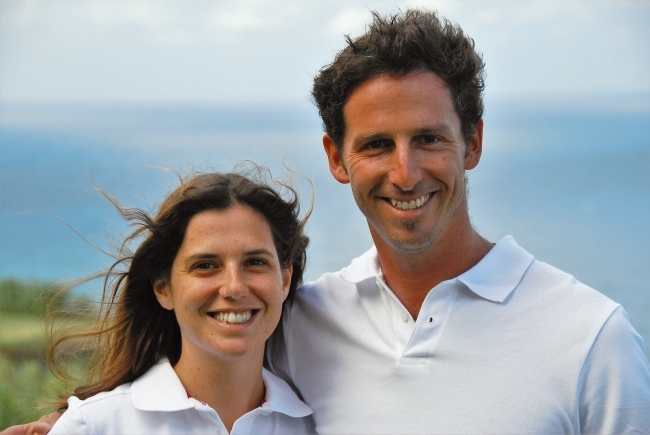 Married four years, from Israel, Noam and Dalit are beginning their second year on ALIVE, a 57 ft. Fontaine Pajot, and their eighteenth charter aboard her, even though they have been chartering for five years altogether and have completed their eightieth charter total. 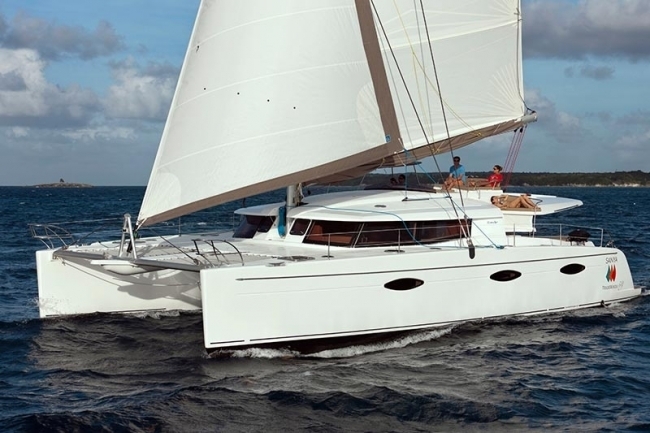 Most of those 80 charters were done in the BVI, but 30 of them were in Belize, a few in the Grenadines, which they tell me they would go back to in a heartbeat, and a couple were in the Mediterranean, Greece, and Croatia. When I went aboard Dalit was serving banana smoothies with pineapple in shot glasses without alcohol, which was appreciated, as we were working…. The yacht is beautifully appointed with turquoise throw blankets, and one of the guest beds had bougainvillea petals made into the shape of a heart, next to which was a bottle of champagne…. The yacht is really beautiful! 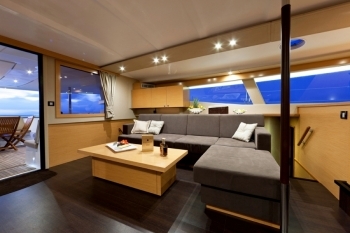 There are five guest cabins for parties of ten plus a sixth for the crew. 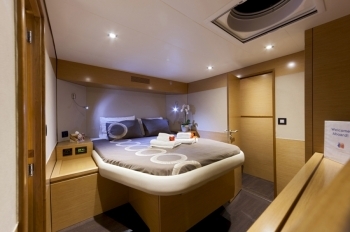 All have Queen size beds, three to starboard, two to port, mostly equal in size with the only difference that one has no walk-around bed, while the others are centerline Queens…. All have private bathroom with stall shower, electric heads, and AC…. 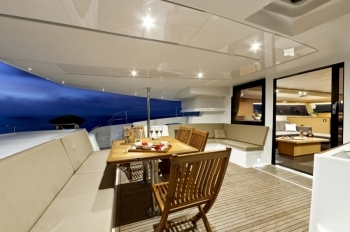 The yacht has lots of teak accents here and there, and there is a teak bar with ice drawers and a teak dining table in the cockpit…. There is a fly bridge, and Noam and Dalit serve happy hour snacks up there, coffee, and cocktails. They use it a lot, which is nice, because then they can get the cockpit dining table ready for dinner, since the saloon has no dining table. This means there is more seating in the saloon for everybody; guests can enjoy the pretty saloon. Built in 2015, ALIVE offers lots and lots of amenities: the air conditioning can be run all night; there are underwater lights; ambiance lighting, streamed movies, internet, speakers all over the deck, cell phone, iPods, board games, bean bags, deck showers…. 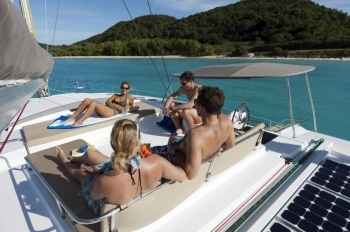 The yacht also offers scuba diving for certified divers….Noam is a dive master and dives with guests. There is also a stand up paddle board, kayak, tube, kneeboard, Unicorn, snorkel gear and fishing rods, and the tender is an 18 ft. inflatable dinghy with 30 hp outboard.